Do you know which of your favorite foods comes with dental benefits? From the malic acid found in strawberries that whitens your teeth to the remarkable scrubbing power of eating an apple, certain foods pack benefits for your smile that are often overlooked. Explore three foods that provide a significant boost to your oral health by assisting in the fight against cavities. When learning about how certain foods provide a hidden benefit for our health or smile, it can be tempting to label them as good and consume as much of them as possible. However, for many of these foods, moderation is still an essential factor. 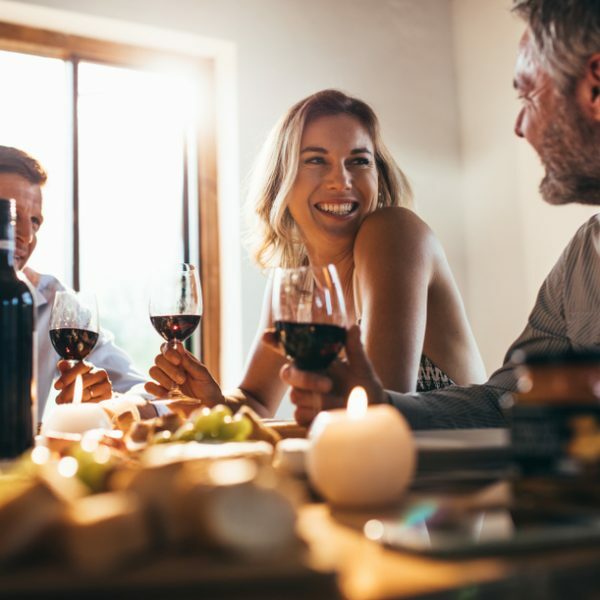 One example is red wine – while the polyphenols found in red wine do play a role in preventing cavities, it’s still important to consider the other effects of red wine, which include staining and empty calories from alcohol. Learning of the dental benefits inherent in each of these foods will provide you with a new insight that may make them worthy of a spot in your diet plan. It may come as a surprise that chocolate is known to be excellent for your teeth, but it’s a fact. Before reaching for the closest candy bar, it’s important to note that sugar mitigates the effect, so the goal is to find dark chocolate that has a very low sugar content, preferably less than 8g. 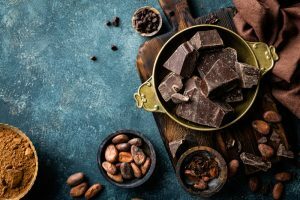 If you’re wondering how chocolate can benefit your teeth, first it’s important to know that chocolate is amazingly complex and ultimately, we know very little about it. What we do know is that one of its 300 chemical compounds is known as CBH, and it functions like a miracle drug for your teeth. This CBH compound brings the benefit of helping to fight the bacteria that lead to cavities, gum disease, and other dental problems. There’s no doubt that cheese is one of the most popular foods in American cuisine. 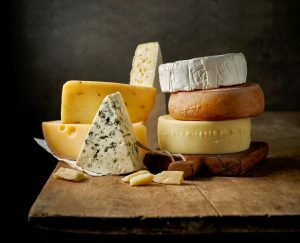 From pizzas piled high with shredded white mozzarella to cheeseburgers that form the cornerstone of the American diet, cheese is a true staple for most people. Find out how it benefits your smile from multiple angles. Rich in calcium and phosphates which help rebuild the teeth. Raises the pH level in the mouth, helping to prevent cavities. Eating cheese after a meal combats acid erosion on your teeth. One caveat to eating cheese is that pairing it with crackers will actually cancel out much of the benefit. Believe it or not, Saltine crackers, not candy, are the number one cause of cavities. Also note that sheep and goat cheeses digest easier than cheeses that come from cow’s milk. A natural derivative of many plants, xylitol was discovered by German and French scientists before being introduced in gum form in 1975. 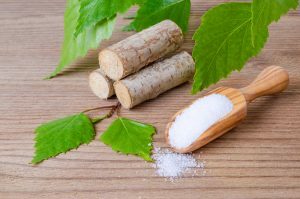 Sparked by the new insights about how harmful sugar is for your health, xylitol has quickly risen in popularity as a substitute. Now available in many forms and products, xylitol plays a crucial role in preventing cavities. Xylitol offers many advantages over sugar, like containing almost no calories for example. But its advantage for the teeth comes from the anti-adhesive effect it has on bacteria. When bacteria can’t stick to your teeth, they can’t form plaque and can’t cause cavities, so consider using xylitol sweetener, mouthwash, or gum for its remarkable dental benefits. What Happens When Food Can’t Solve Your Dental Problems? Making smart food choices can do a lot to prevent negative dental and medical conditions, but not so much after you already have a problem. Consider these three problems that you can’t solve with food, and peruse the ideal treatment for each of them. Since most cases of sleep apnea affect obese patients, food choices can play a key role in its prevention. However, once you’re in the situation of waking up dozens of times throughout the night, there’s little that a change in diet will do for you – you need treatment and fast. Sleep specialists like Dr. Jennifer Buchanan provide all of the most effective oral appliances to open your airway and get you sleeping through the night again. Tooth loss is a condition that can make it difficult to eat your favorite foods, and it can happen for a variety of reasons. When you’re missing a tooth, there’s no magical food that will make it grow back – instead, it’s crucial to find a replacement as soon as possible. The absolute best option for restoring your smile is dental implants, and specialists like Dr. Darlene Hart can ensure that you’re right for the procedure before you get started. Another problem that can’t be prevented by your dietary choices is crooked teeth. Whether from genetics or another factor, you may have one or more teeth that seem to have a mind of their own. In addition to disrupting your smile, this can also make it difficult to eat the foods you want. Luckily, Invisalign is a simple treatment that can restore your smile in the most discreet way possible. An expert like Dr. Keith MacDonald from Archdale, NC can help you learn more. Who knew that dark chocolate had major benefits for your smile or that chewing xylitol gum prevents bacteria from sticking to your teeth? Choosing to include the foods that have benefits you need can have a powerful effect on your overall health. While our food choices can’t prevent every problem, they can play a huge role in keeping your smile fresh and healthy.